“They don’t know who will die next, the feeling is like living with a time bomb but you can’t see the counters ticking down all around you. This is the reality of chronic disease in Arnhem Land” says Tim Trudgen, Non-For-Profit Projects Manager of Why Warriors. 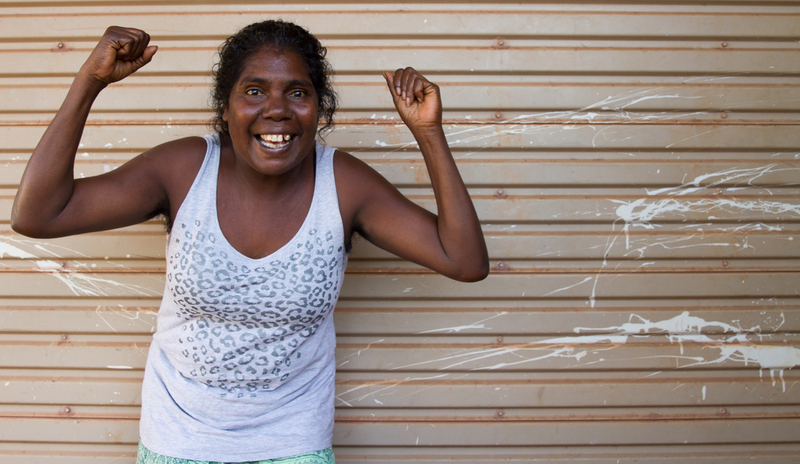 Along with a group of determined Yolngu women, Why Warriors has created a project called Hope For Health which aims to control the diet related chronic disease epidemic, starting with the first ever health retreat on Yolngu land. Building on the success of previous years, the retreat program will use traditional Yolngu diet and wisdom as a framework and include health professionals, modern nutrition, detoxification and educational experience. Based in Elcho Island, N.T, the project will be delivered by Why Warriors, and is led by a group of 12 Yolngu women and Dr Kama Trudgen. In the 60 years since Western culture arrived on the Island, the local Yolngu people have gone from vibrant vitality to facing high death rates and some of the worst statistics in chronic health in the world. Over that time, the increasing availability of modern processed foods, a lack of access to culturally effective information on the adverse effects of such high-sugar low-nutrient foods, and the marginalisation of healthy traditional practice have caused an epidemic of poor diet and disease. “In Galiwinku it seems that everyone here has a chronic disease, the epidemic is out of control and the people feel hopeless. Our alternative is to help people discover that diet makes a difference. Yolngu need the experience that a Health retreat and detox program provides to really believe; to feel that difference, and they need culturally effective education to give them control of their health” says Tim Trudgen. Two years ago, Why Warriors and a group of Yolngu women raised $60,000 with donations from around the world for 12 Yolngu female leaders to travel to and complete an intensive health retreat at Living Valley Springs in Queensland. With post-retreat health coaching over 3 months the health results were profound, including some of the ladies coming off medication, with the support of their doctors. It reawakened their hopes of living in true health and validated the idea of a locally run health program grounded in traditional knowledge. 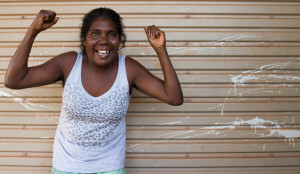 The same 12 women that experienced this true health now aim to create a health retreat on Elcho Island – but uniquely doing it on Yolngu country; partnering Yolngu knowledge, food and medicine, with mainstream health expertise. This is a Yolngu led project and is expected to have a large impact into the chronic health issues facing the 2500+ inhabitants of the island. Yolngu guests on the retreat, along with nutritional guidance, will experience herbal sauna sessions using medicinal bush plants, sand bath healing, lymphatic drainage massage, Yolngu massage therapy and more. Hunting, harvesting local foods and craft are all intertwined into the retreat schedule to value connection to country and build inspiration. A local retreat in Arnhem Land would: • Skill participants to deal with the real underlying causes of chronic illness in their own lives and their families. • Empower Traditional Culture by emphasising its health benefits. • Create local employment and opportunity for economic development. • Build the capacity of Hope For Health to establish an ongoing retreat program and eventually include people from other remote communities. Why Warriors and the women are now asking people around the world to join in the project and crowdfund the first 30 participants with chronic disease to experience true health. The women are aiming to crowdfund $80k. The campaign is live now and finishes on the 28th of July. The campaign has already been supported by the wider Indigenous community including IndigenousX, NACCHO, RACGP, Leila Gurruwiwi, ALPA & The Marngrook Footy Show. Our Crowdfunding campaign is live until the 28th July.